Summer showers or winter downpours, there comes a time in every car’s life when they need to suffer the tears and change windshield wipers. The idea of letting go is harder than the reality of how to change windshield wipers. In only few minutes, you can have clearer skies—at least from a driver’s point of view. Drive safer with clearer windows. It’s not going to take you a degree in mechanical engineering to replace your windshield wiper blades. There are three basic parts to a windshield wiper. The metal arm that comes up from the hood and attaches to the vehicle—it stays put. Then there is a wing that attaches at its center to the arm. 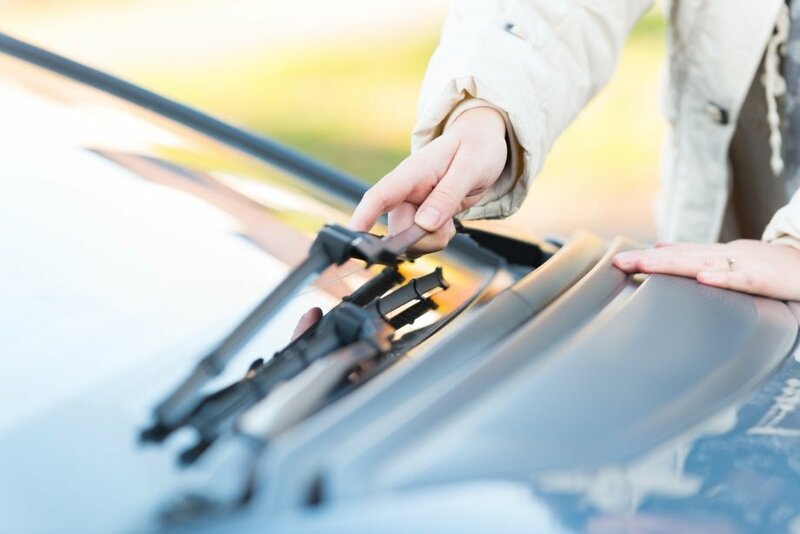 The metal blade holds a rubber blade, which is the only part you have to worry about in inspecting and replacing your windshield wipers for normal wear and tear. 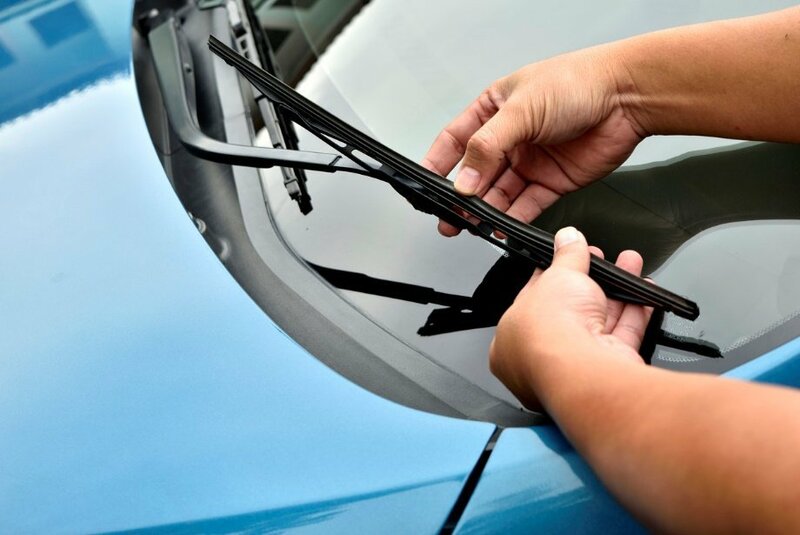 It’s a safe bet to replace your windshield wiper blades every six months to a year. It is a good idea to check your blades before and after times of year when the weather is in full effect—snow, rain, or dry heat. If you live in an area with a lot of rain, snow, or grit that mixes into precipitation and wears at your blades (sorry dusty state dwellers), be sure to check your blades often. High use impacts the life of your wipers, kind of like a rubber eraser. Extreme weather can also negatively affect the integrity of windshield wiper blades. The next question as you squint through that blurry wet, squeaking windshield at the lights ahead may be, “How do I know if it’s time to replace my windshield wiper blades?” There are better ways to figure that out than a car accident. Windshield wiper blades are cheaper than hospital bills. The rubber is cracked, brittle, or no longer springy. This is most likely in hot or extreme weather. Blur or watery tracks when the wipers are on. The rubber isn’t touching the windshield evenly. Try using your windshield wiper before rainy seasons or storms to check that the blades are up to par. Replacing your old windshield wiper blades is really a snap. You just need to find the right size for each of the wipers, go to your auto shop, and in a few minutes you’ll be all blues skies. This is a cheap part, so it’s best to replace it yourself and save the inflated labor costs. 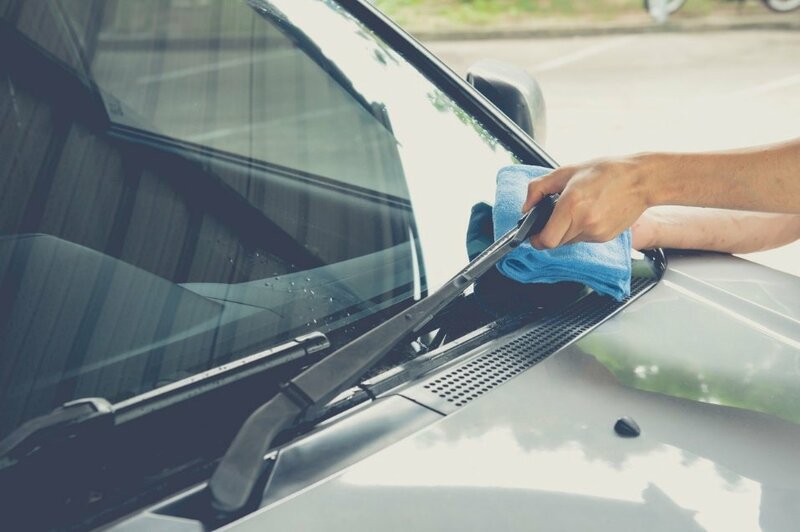 Learn what kind of windshield wipers replacement you need and how to remove windshield wipers below. 1. 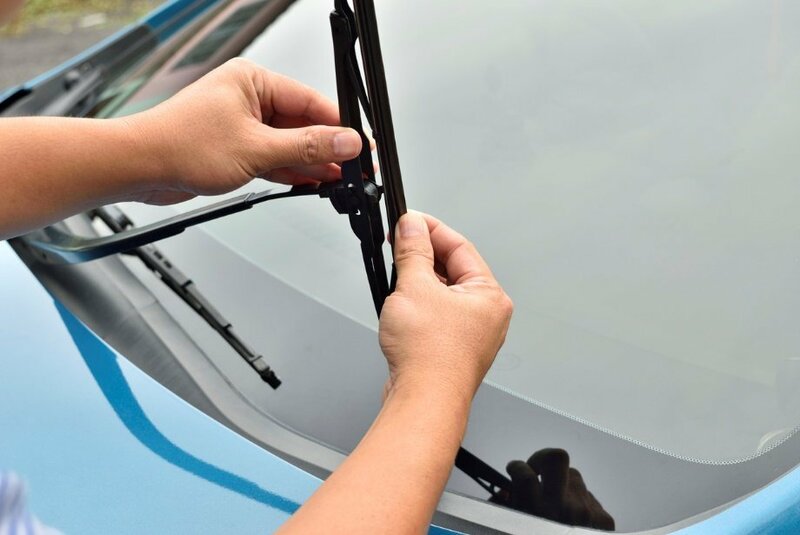 Check the size of windshield wiper blade you need for each of the blades to be replaces. Check your owner’s manual or measure each of the blades to be replaced. Because of the mechanics of the blades, the left and right blade may not be the same length. If measuring the blade, get the exact measurement. Or, park in front of the store, remove the old wiper, and take it into the auto parts store with you. This is a simple, time-saving, sure-fire hack. The auto parts professionals can also help you find the windshield wipers replacement for you if you're having a hard time. For extra protection, have a small towel or old shirt ready. Place it under the wiper when it’s in its down position. If the wiper smacks back in place unexpectedly, your windshield is protected. Lift the metal arm away from the windshield. These are spring loaded, so make sure it clicks into an open position at a 90-degree angle—like a building rises from a sidewalk. Keep a hand on the leg to keep it in place. Although unlikely, you don’t want to risk a crack to your windshield. Next, in the center of the metal blade, there is a small rubber stopper that holds the blade in place. Press the stopper. Unhook or unpin the blade. It’s that simple. Reverse the order you removed the old windshield wiper. Align the new rubber blade with metal wiper. Fasten the hood or pin. Tug lightly to check. Lower the metal arm back onto the vehicle. You’re ready to wipe away the rainy days. Make sure your tire tread, breaks, and safe driving techniques are also prepared for rainy season whenever those showers flower. Driving safer is a great idea anytime.